If you’re an affluent ghost, you’ll have the good fortune of haunting an expensive bungalow, whereas middle-class ghosts will usually make do with an abandoned condo. If you were much less solvent in life, there’s a good chance you’ll end up inhabiting a disused housing estate flat, and for five Singaporean spirits that’s exact their lot in (the after) life. 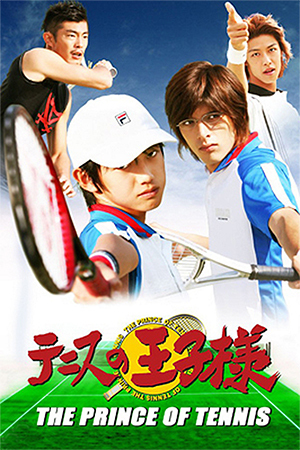 Ah Boon (Shaun Chen) was a state badminton player who was struck by a truck during training, but his housemates harbour worse misfortunes. Madam Wong (Alice Lim) was accidentally gassed whilst cooking a family meal, where feisty Wan Yi (Ling Lee) choked to death on a fish-ball as she was dining in a coffee shop. Their remaining ectoplasmic flatmates, Hip (Xavier Teo) and Hop (Ben Yeung), were young would-be rappers who ended up stuck in the hereafter, much to their absolute boredom. 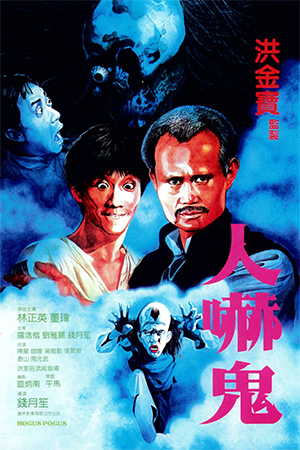 Along the way, Boon and Wan Yi help chronic gambler, and jack-of-all-trades, Ah Huat (Laurence Wong) with an invisible guiding hand. The unexpected arrival of recently deceased photographer, David (David Aw), shakes up the group’s mundane routine when he proves more mischievous than they’re accustomed to. 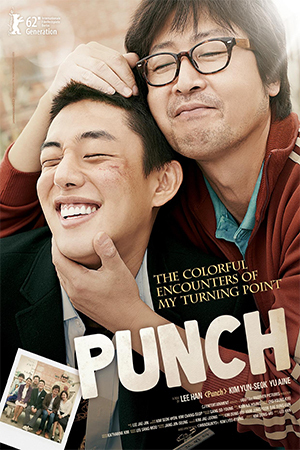 Further trouble rears its head once the effete Mr. Foo (Ckay Lim) decides on purchasing their unit, because then it’s up to timid phantoms to either find the courage to scare him off or face eviction. While working on his domestic genre feature, ‘The Maid’ (2005), Singapore’s first major horror hit that both set box office records within its genre and went on to widespread international notice, former Strait Times film critic Kelvin Tong entertained the thought of a successive horror outing that inverted expectations by unfolding its story from the ghosts’ perspective. In the interim he bridged his first major success, and that germinating idea, with the romantic drama ‘Love Story’ (2006), as Singapore’s entry in Andy Lau’s Hong Kong-produced Focus First Cuts Pan-Asian HD feature film series. Thereafter, it was back to work with brother Leon at their self-owned production house, Boku Films, to see that previous idea through to fruition in the form of ‘Men in White’ (2007), a deliriously manic hybrid of horror, comedy, romance, musical and social satire genres. 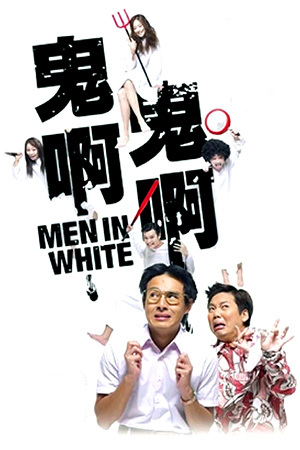 Infectious energy abounds in Tong’s fourth feature, however it’s highly unlikely that ‘Men in White’ may ever see a wide release outside of South East Asia as its brand of comedy (as well as pop culture/cultural references) is so provincial as to remain largely only relevant to filmgoers of its immediate region. Realistically, that fact isn’t to the detriment of ‘Men in White’, as there’s no golden rule that demands any country’s cinematic output must be made with global audiences in mind, and it’s always refreshing to come to a feature that holds no pretentions whatsoever of being anything other than engineered solely for its own domestic market. Featuring a cast comprised of both new and familiar faces, especially for those conversant with MediaCorp’s stable of artists, Tong’s ‘Men in White’ poses the positively amusing question: “How do ghosts, stuck in limbo between death and reincarnation, exist and survive in modern-day Singapore?” Assuredly, it’s a perhaps not a question anyone may have plausibly asked, but it most certainly makes for an often-humorous hour and half’s entertainment. Turning the popular Southeast (and East) Asian supernatural genre inside-out and approaching the often-formulaic concept from the reverse angle is an inspired take on things, which also lends itself to a whole host of situational comedy. Inspired, ‘Men in White’ most certainly is, but its overall structure proves somewhat erratic as it’s more a series of loosely-related comedy vignettes (most which work, some of which fall horribly flat) than a completely cohesive narrative success. Firing up with narration by the group’s unseen sixth member, Sunny (whom those familiar with him will instantly recognise as Adrian Pang, star of MediaCorp’s popular English-language sitcom Parental Guidance) the story thereafter is handed over to Xavier Teo and Ben Yeung’s (‘One Last Dance’, 2006) Hip & Hop, who answer an array of “audience questions” about ghosts in a dialect destroying mash-up of Mandarin and Americanised English. Anything you may have ever wanted to know about Southeast Asian ghosts, and even some facts no-one might have ever contemplated (such as their courting rituals or if spirits defecate), are answered with sometimes alarming detail and tongue planted firmly in cheek. Whilst outlining the ordinary ghost’s daily life, as well as setting up the individual characters’ back-stories, this approach also allows Tong to introduce his wild card: Ah Leng (Benjamin Heng, ‘It’s a Great, Great World’, 2011), an incandescent-orange haired ghost who has a penchant for kidnapping humans. 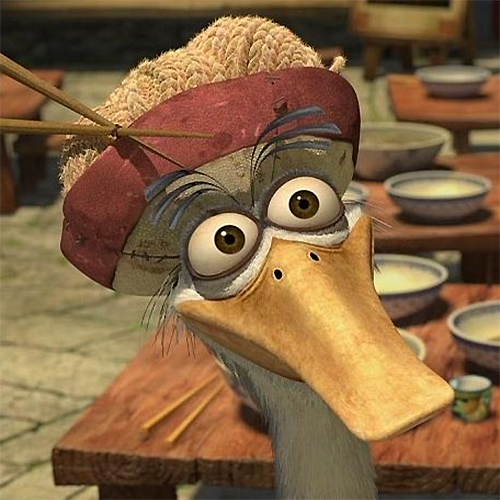 You can be assured that, when you least expect the diversion, Ah Leng will literally pop up and play havoc with everything around him. Although the opening character introductions and Q & A format leans heavily on establishing ‘Men in White’ as a straight comedy (inclusive of a very funny animated PSA from the Ministry of Ghost Health advising sprits to keep their family numbers modest), it also creates a chaotic and scattershot, as well as virtually plotless, first act. This is rectified with the arrival of David Aw’s recently deceased hobby photographer in the second act. His energetic personality quickly sees him supersede Ah Boon as group leader, and he’s instrumental in pushing his cohorts to adopt Western paranormal traits to run off incoming tenant, Mr. Foo. Having won his role in the film through a talent contest, the debuting Aw surprises as he exhibits a strong presence and naturalness in front of the camera that makes his character a centrepiece. As for CKay Lim’s Mr. Foo, even though the role is played broad and purely for laughs, viewers would be hard pressed to find a more camp gay stereotype outside of John Inman’s Mr. Humphreys from British TV sitcom Are You Being Served? (1972 – 1985). Which leaves Laurence Wong’s Ah Huat part a wildly boisterous dig at the burgeoning Ah Beng subculture prevalent throughout Malaysia and Singapore. 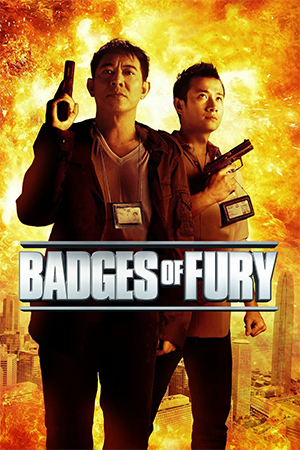 Which brings us full circle, with reference to a social phenomenon (ah bengs) that has become a subject of ridicule amongst Southeast Asian residents who identify with it, as to why Kelvin Tong’s ‘Men in White’ is more likely to remain a distinctly Singaporean creation than one destined to travel well with overseas audiences. For locals, and those familiar with Singaporean (as well as Malaysian, since similarities abound) customs and culture abroad, Tong’s romantic-musical-horror-comedy revels in the fact that it was wholly designed for the teenage sector of that demographic. The film took a hiding from Singaporean critics, who cited the chaotic narrative, lowbrow scatological humour and reliance on sexual and ethnic stereotyping for cheap laughs as its major deficits. Where some of those observations are all too accurate, and the propensity of characters to spontaneously break into song with hip-hop numbers strains the patience at the first instance let alone the third, ‘Men in White’ is a farcical venture that maybe has a few more weaknesses than it does strengths. At its best it approaches Hong Kong’s mo lei tau-styled levels of absurdity, but beyond those rare occasions it’s more inclined to elicit reserved chuckles, and some well-deserved groans, than the belly-laughs Tong was clearly aiming for. Moderately funny for those “in the know”, but best avoided for those who aren’t.